present, cowboy and western American folk music in the rich spirit of the Rocky Mountain West, harmonizing the good old western songs of long ago plus many original songs on the fiddle, banjo, mandolin, guitar. Bill and Joanne both live in Lander, WY. Bill has been a full time entertainer and world class yodeler for over 30 years. He was also a member of the Grammy award winning New Christy Minstrels from 2005-2008. 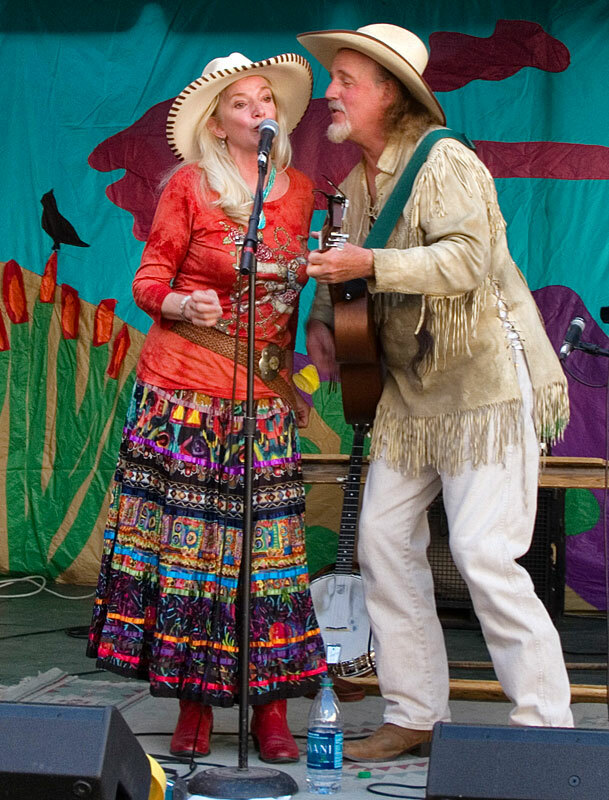 Joanne performs on vocals, banjo, and guitar. She was a strolling minstrel for years with the Henry Ford Museum /Greenfield Village Players, in Dearborn MI, where she met Bill. Together they have been performing and touring nationwide for the past 11 years.